What If I Am At Fault for a Car Accident? You hear plenty about what to do if you are in an accident and innocent, but what do you do if you are in an accident and you are the one that caused it? If you are involved in an accident, at fault or not, there are things you should and shouldn’t do. You want to lessen how much at-fault the other driver holds you for – and of course, protect yourself in case you really were not at fault. Do not talk about how the accident happened. Do not get into a discussion about who is at fault or who may be at fault. Do not apologize or make any statements that can be confused for an apology. Do not ask the other driver how fast they were going or what they may have been doing wrong to cause the accident. The best thing you can do is ask if anyone is hurt and then contact the police. You do not have to discuss any details of the accident and you can wait until the police arrive before discussing anything more. Whatever you do, do not accuse the other driver of being at fault or lose your temper—it can be used against you in court. 1. Taking photographs. Take photographs of the accident scene—including the vehicles before and after they are towed away. Take photos of witnesses, those in the other vehicle, and any injuries you can see right away. 2. Write it all down. Write everything down—including what you were doing before and during the accident, anything you heard, and any other details pertinent to the accident itself. If the other driver admits fault, write that down, too. Write down why you think you are at fault so that you can present it to an attorney. For example, you were rear-ended and you had to hit your brakes unexpectedly. This caused the other driver to rear-end your vehicle. While you may assume it was your fault, the other driver may have been following at too close of a distance – making them liable for the accident and not you. 3. Seek medical attention. Car accidents can do a number on you—even if the injuries don’t present themselves immediately after the accident. Sometimes it can take a day or two before the real symptoms show up. See a doctor right after the accident and let them know you were involved in a car accident. A doctor can perform scans and find injuries before they start showing symptoms, so that you can receive treatment as soon as possible. Lastly, do not forget to contact a best car accident attorney Boca Raton, FL. 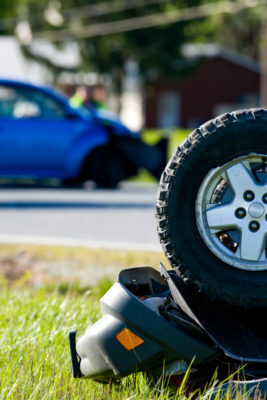 The team at Leifer Law can help you with your accident case. Come in for a free case evaluation and let us help determine who is at fault for your accident and injuries.